Jamie here, if you’re looking for a cute (and simple) Easter breakfast idea – you’ve got to try these Bunny Biscuits! I know Easter is still a ways’ off, but it’s never too early to start pinning! All you need is a regular can of biscuits to make a cutie-pie Easter morning treat for the kids. 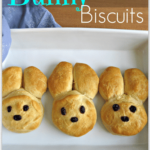 Serve these bunny biscuits for dinner too – alongside your ham and all the other Easter fixings! 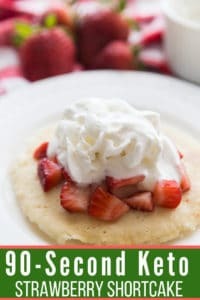 I made an easy glaze for mine (just powdered sugar, milk, and cinnamon) and spooned it over top – you can make the glaze the night before as well! Just open a can or two of biscuits and place then on a foil-lined cookie sheet. 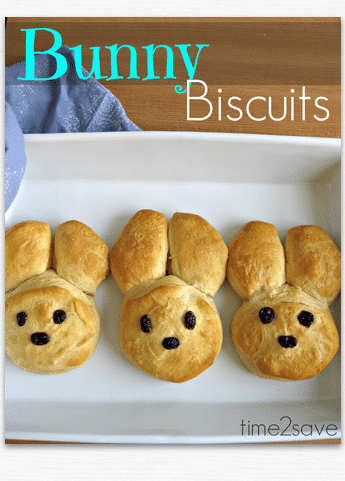 Use half of the biscuits for bunny faces, and half you’ll want to slice in two for the ears. Press a corner of each ear onto the underside of the face (pinch it tight!) so it will hold together once baked. *I was glad I’d picked layered biscuits, because I was able to pinch the ear to the bottom layer without smushing the top of the face. 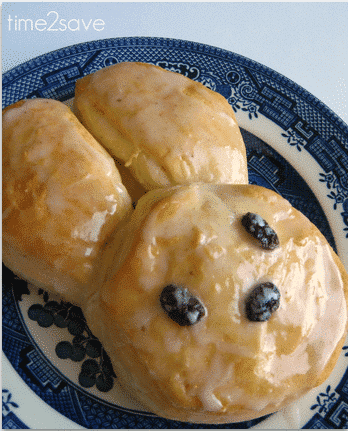 Add eyes and a nose by gently pressing any of the following into your unbaked biscuits – dried cranberries, raisins, chocolate chips, etc..
You can either serve with sausage, eggs, etc… as part of a big Easter Breakfast, or whip up a quick cinnamon roll glaze from powdered sugar, milk and cinnamon! Place the biscuits on a tin-foil lined cookie sheet. Cut some of the biscuits in half with a knife to make ears. Press the corner of each ear under the round biscuit face so it stick together when baked. 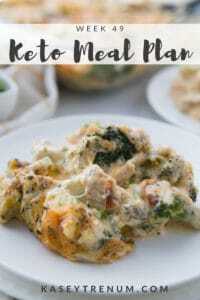 Find more yummy Breakfast Recipes here! What cute little bunny biscuits! How cute! What could I use for whiskers? 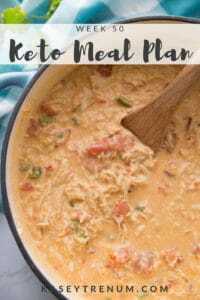 I looked up some similar recipes where people used almond slivers Shirkey – but maybe also coconut would work? 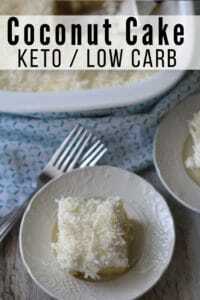 Or some reeeeally thin slivers of apple?